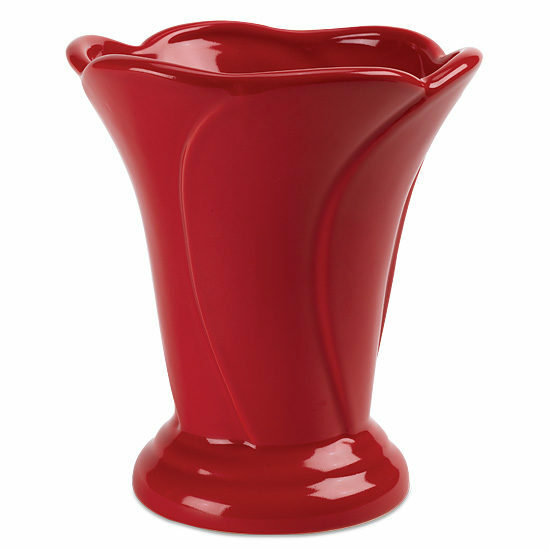 Whether filled or standing on its own, this bright, lipstick red vase will make an impactful statement in any room of the house. 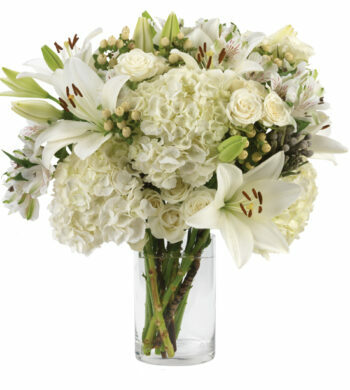 Its intriguing shape with its wide sweeping ridges readily embraces a bouquet of fresh flowers. 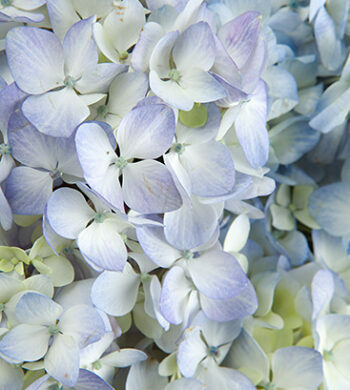 The vessel is made in the USA by Haeger Potteries. 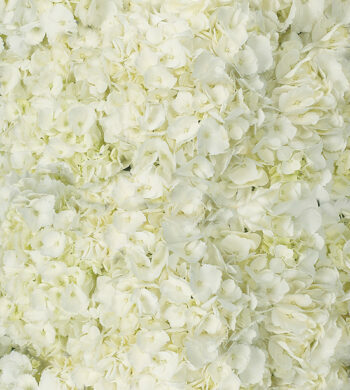 May we suggest our White Hydrangeas to fill this vase?